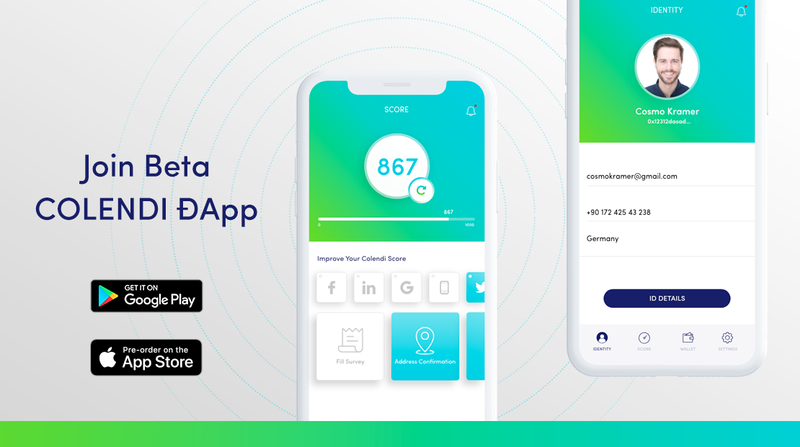 Colendi Beta Dapp is featured in the Test flight for more than 2 months now and it has received many users from various regions of the world. 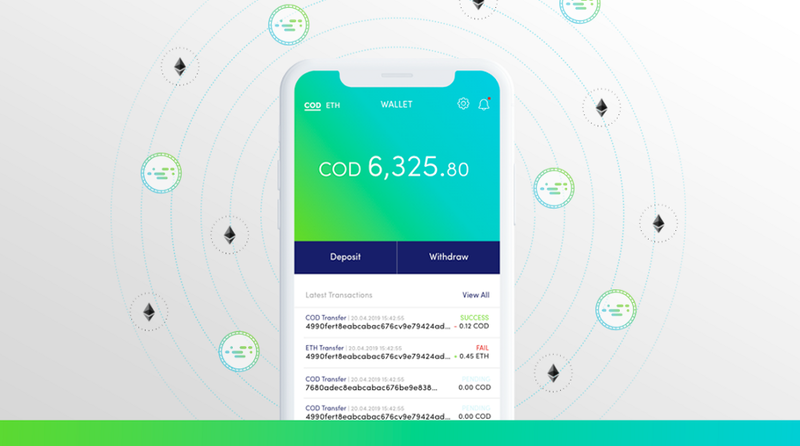 Very soon, Colendi will announce the public version of its mobile application in both IOS and Android and all our community is more than welcome to try the Beta Dapp to share their opinions and feedback about our product. 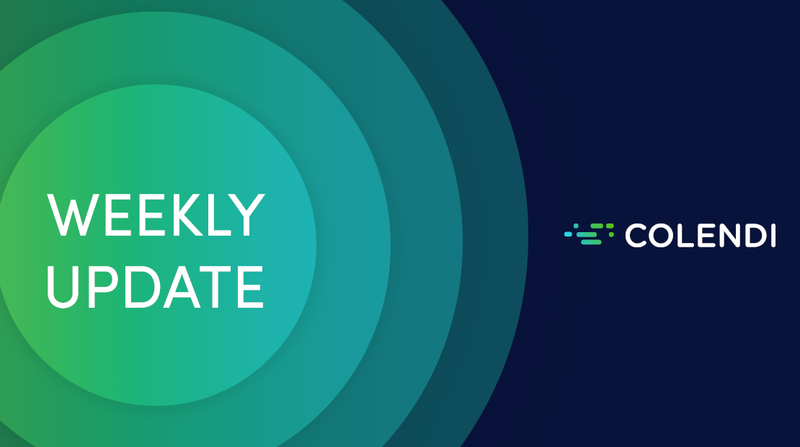 But, before diving it more into the product itself, let’s visit our other activities and see what we’ve been up to in the last week! - A must read blog by Colendi CEO Bulent Tekmen in Hackernoon! It tells you everything you need to know about the latest trends in the global blockchain and fintech industry. A thorough explanation about the mobile market in the world, where blockchain technology is going and how the tech giants are in the most fierce competition of adaptation. Enjoy! Hackernoon Blog by Bulent Tekmen! 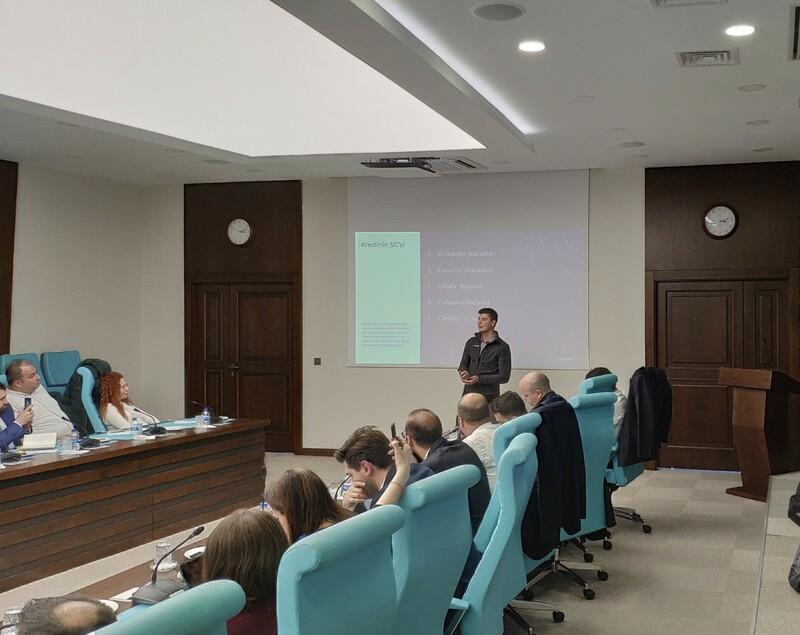 - The presentation, made by Colendi’s CPO Eray Eren focusing on the advantages of using innovative blockchain technology for handling financial and trade transactions, met with great interest by the participant representatives of major financial institutions in Turkey. - Colendi CPO Eray Eren will be speaking at the OKex meet-up on March 26 in Istanbul. He will share updates about the latest status of the Colendi Project and engage with the blockchain community. Don’t miss it if you are around! - In Seamless Middle East 2019, both our CEO Bulent Tekmen and COO Mihriban Ersin will be speaking on stage. The event will take place on April 10, in Dubai. Save your spot to meet us if you are in town. - Yet another great acknowledgment from a European Organization, we are once again honored to make the list of EU-Startup’s 10 Most Promising Start-ups list. Read more in the link! - Can peer to peer take the place of today’s more “traditional” methods utilized mainly by centralized banks? Read this blog to discover what the future holds in store about the lending types and the presumed change the lending ecosystem will go through. - We wish to make a sweet reminder to all of you about a crucial blog writtern by our CPO Eray Eren last week. 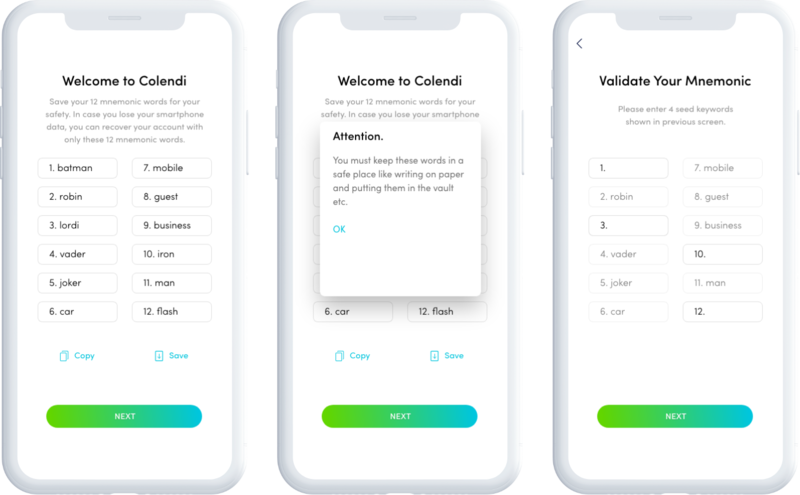 You can read here to learn about how to create your Colendi Account on blockchain, and how to maintain your decentralized account. We recommend all our users to read this blog thoroughly to learn preserving a fully self-sovereign account on the Ethereum blockchain. Here is one part about the mnemonics we think that can be useful for you. Store and Validate your mnemonic — your private 12 words! 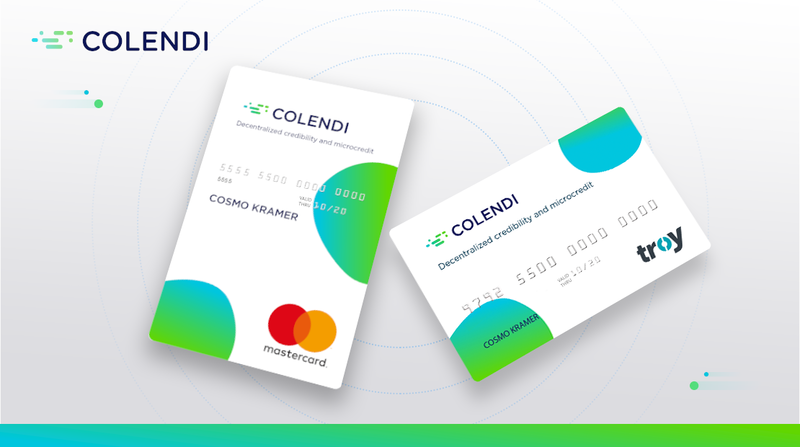 - Colendi Blog Series “Colendi Ecosystem” continues with its last part. In part one, we have talked about the users and their role in the Colendi Project. In the second part, other Colendi Protocol Layer Contributors were explained. 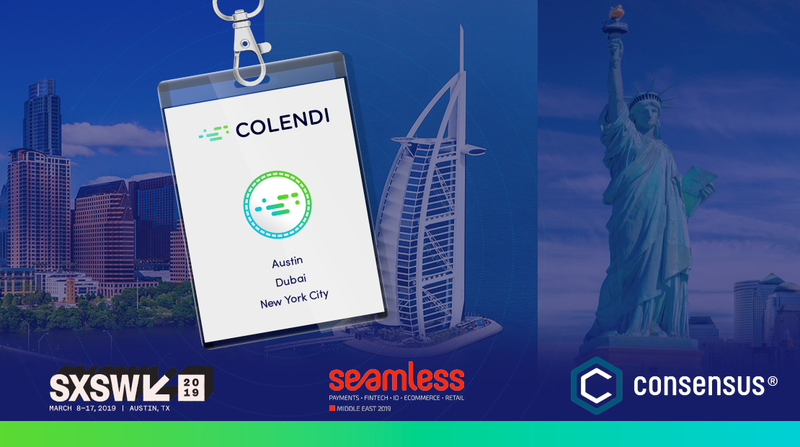 This week’s sheds light on the Colendi Tools and their utilization in the Colendi Project.Read now to get a deeper understanding of Colendi Project!